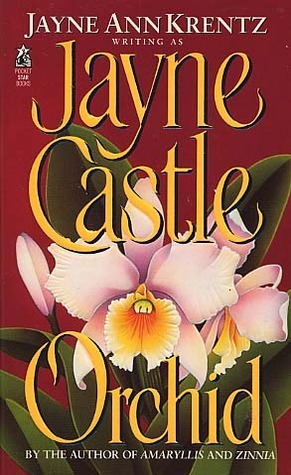 The truth is that I can't really remember anything about these books outside of the fact that they were entertaining enough for me to finish reading. 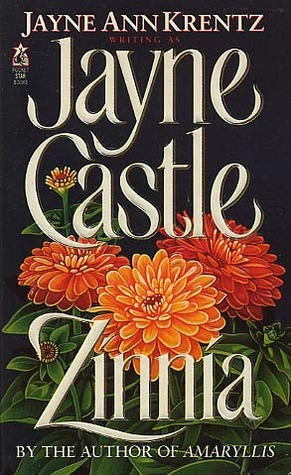 The characters were good, even if the romances were fairly dated, with virginal heroines, and pushy, irrational alpha heroes. And really, that was all. Because in the end, all three books felt like they were pretty much the same story. I'm giving it an average rating, mainly because it's Jayne Castle, and I like Jayne Castle. 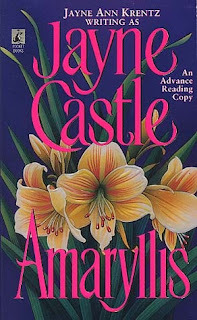 Amaryllis Lark is undeniably beautiful. She's also one of the best psychic detectives on St. Helen's, the earth colony recently cut off from the mother planet, yet not very different from home--a place where love still defies the most incredible odds. Lucas Trent, the rugged head of Lodestar Exploration, isn't keen on the prim and proper type - and, from her neatly buttoned up business suit to her cool evaluation of his request to bust a corporate thief, Amaryllis is EXCRUCIATINGLY proper! Amaryllis may have psychic powers, but she can't read minds--least of all her own. When a bold hunch leads them from a wild murder investigation to a red-hot love affair, Amaryllis is shocked, Lucas is delighted, - and no power on heaven, earth, or St. Helen's can keep them apart! Nick Chastain craves what he doesn't have--respectability. He calls on Zinnia's powers to help find his father's journal, and to dig up answers to his own mysterious past. Zinnia doesn't have to be psychic to know what else Nick wants; together they're an explosive combination that may just blow St. Helen's sky-high with intrigue, danger, and a passion that's anything but predictable. But when a ruthless killer crosses their search, Zinnia must risk everything she's got - in a love affair where the winner takes all. An unlicensed private eye with an edgy reputation and a psychic talent so awesome he hides its true power, Rafe has some serious secrets. Not only is he trying to solve a strange theft, he is about to replace his grandfather as CEO of Stonebraker Shipping and is fighting to ward off a hostile takeover. He needs a wife--and fast--to salvage his credibility. Orchid Adams doesn't fit the profile he had in mind, but she fits in his arms. Will their mind/body merger spark a rollicking and rocky partnership, just as his latest case threatens to end their world?